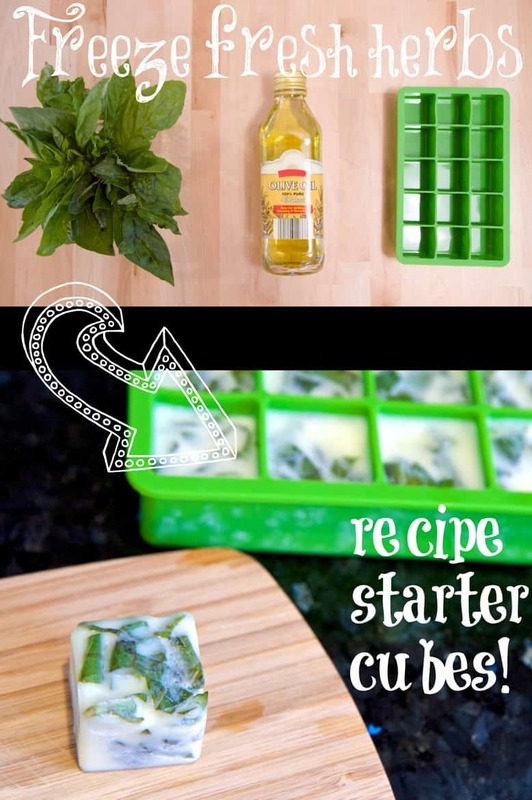 Kitchen Hack: Make Your Fresh Herbs Last Longer! As a busy mom, I’m always looking for ways to save time but still keep quality in just about everything I do. Whether it be running errands, devising travel plans or making dinner. And one of my biggest pet peeves is seeing food I’ve purchased go to waste. It’s especially frustrating when you make the decision to budget more for healthier food options for your family, like fresh fruits and vegetables, but end up having to throw some of it away because it has a shorter shelf life and you didn’t use/eat it all in time. Cooking meals from scratch with fresh ingredients usually means running to the store every other day. And while I always like to have fresh basil and green onions (or chives) on hand, I inevitably never use up the entire bunch. And to be honest, wouldn’t it be nice NOT to have to run to the store every time you needed some fresh herbs? Or if you grow them in your garden, how much goes to waste? So today, I’d like to share a couple of my own kitchen hacks that I devised to help keep these herbs fresh and easy to use whenever I need them! Unfortunately fresh herbs don’t usually last very long once they’ve been removed from the plant. If you’ve ever tried simply throwing herbs into a freezer bag and freezing them, you’ll find they turn brown, will get brittle and often freezer burnt. The olive oil in this handy hack not only keeps the herbs green, it also prevents freezer burn and makes for a fresh AND easy Italian recipe starter! 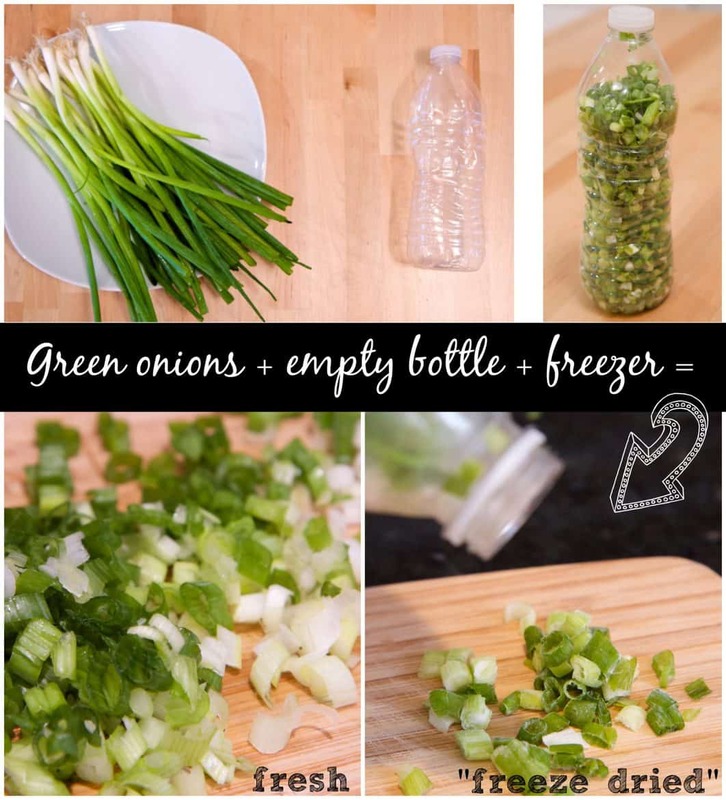 Having ‘fresh’ chopped green onions to add to salads, baked potatoes or any dish is as easy as…. Do you have any favorite kitchen hacks you’d like to share? Rarely caught without a camera, Jeana is an adventurous traveler with a passion for people, cultures and food that has led her to 43 countries in 6 years. When she's not using her powers for social good, she enjoys photography, cooking and building LEGOs with her son. On occasion, you may also find her crocheting cute things to hide in her husband's underwear drawer. Rarely caught without a camera, Jeana is an adventurous traveler with a passion for people, cultures and food that has led her to 43 countries and counting. When she's not using her powers for social good, she enjoys photography, cooking and building LEGOs with her son. On occasion, you may also find her crocheting cute things to hide in her husband's underwear drawer.